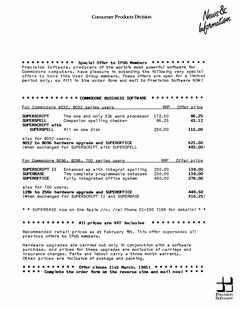 SuperScript til Commodore 64, just the first page has been replaced (thanks to Jan Normann Nielsen), from the C128 version. 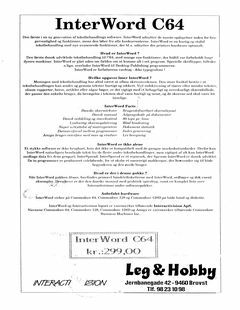 Added ‘Interactivision InterWord C64’ flyer. 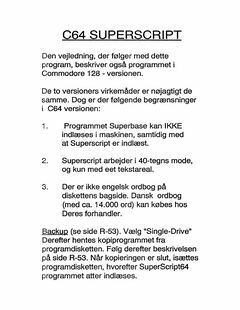 Added ‘Commodore 64/128 Tips-program’ flyer (Danish). 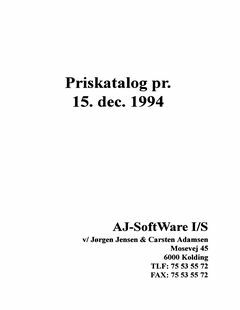 Added ‘AJ-SoftWare I/S Priskatalog pr. 15. dec. 1994’ with thanks to Ove Mejlgaard. 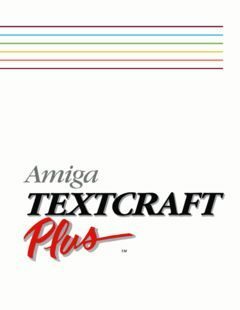 Added ‘AJ-SoftWare I/S Priskatalog pr. 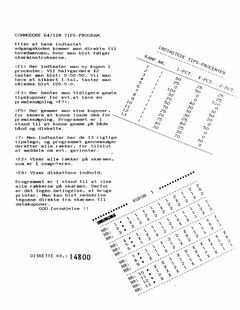 10. feb. 1995’ with thanks to Ove Mejlgaard. 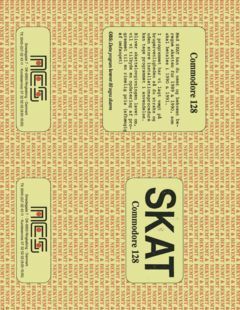 Added ‘NCS Skat – Commodore 128 Brochure (Danish)’ with thanks to Ove Mejlgaard. 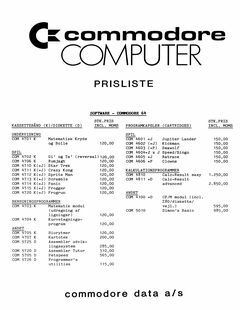 Added ‘Commodore Prisliste C64/VIC20 Software – September 1983 (Danish)’ with thanks to Ove Mejlgaard. 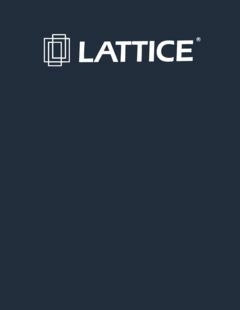 Added ‘Precision Software – Special Offer to IPUG Members’.